Tex Ware is a small publishing company that used to publish books for various authors. They received a healthy royalty for the sale of their books. We published print books on demand and various formats of eBooks. 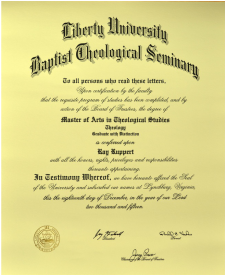 In February of 2014, Ray Ruppert, the Managing Editor of Tex Ware retired from the publishing business to pursue a Master of Art in Theological Studies. He completed his studies in December of 2015. He is now working on more books and teaching theology. Tex-ware still publishes Ray's works, which he donated to Proverbs Three Nine Foundation.